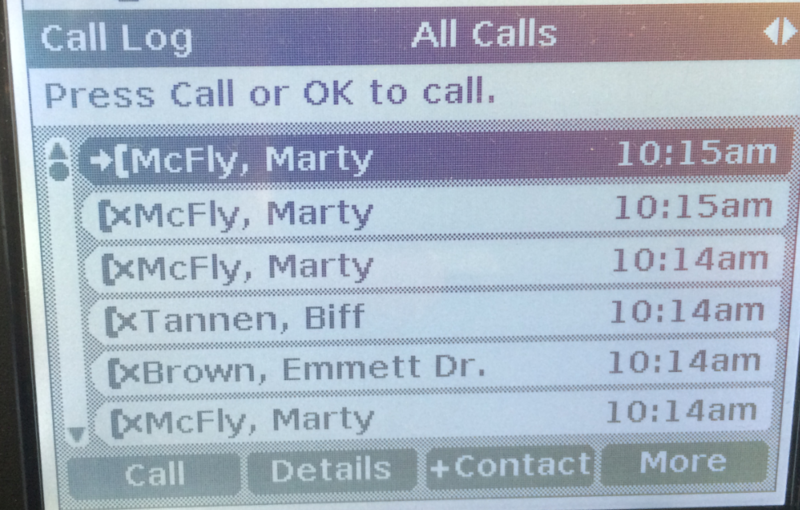 Looks like Marty, Doc, and even Biff have been trying to reach me today. Is something special about October 21, 2015? This entry was posted in Uncategorized on October 21, 2015 by roger.